Woven by Words: How Many Kings by Downhere & GIVEAWAY 5 Copies!! How Many Kings by Downhere & GIVEAWAY 5 Copies!! 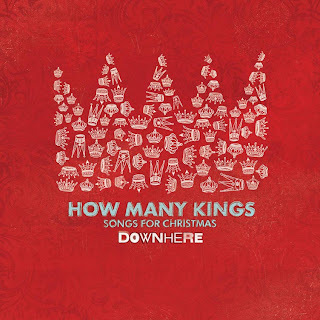 Today I listened to their just release Christmas album, How Many Kings: Songs for Christmas. I played it over and over! I'm trying not to overdo it with their title song How Many Kings. Listen to the words and you will understand what I'm talking about. With Christmas a mere 5 weeks away, the Christmas music is about to hit the airwaves. Wouldn't you love to have something new to listen to? Downhere's Christmas CD is IT! Do you have preteens/teens or young adults in your life who need a twist to their Christmas music? They're tired of all the Amy Grant and Michael W. Smith versions? Not that there's anything wrong with them! I think we just need Christmas music that crosses over and Downhere does that in spectacular fashion! So, lets discuss the CD!! They have a blend of classic Christmas songs with their own take as well as new music. The first song is the title song. What better way to start off this awesome collection? How Many Kings challenges us to look at what other gods the world offers to us and compare them to the God of our lives who gave up everything for us. God Rest Ye Merry Gentlemen is a great remake with Downhere's rock element! Angels From the Realm of Glory I've never heard it before and it is simply a beautiful song. Christmas in Our Hearts makes me think of the Beatles with Marc Martel's unique sound. Silent Night is done in absolute classic fashion! There is a very goose-bump inducing part with Marc Martel's "oooo"ing! They blend their voices in a gorgeous rendition. What Child is This? I love the guitar in this song. I love how the guys voices blend. And an awesome part where they actually sing a bit in French. It's so cool! Bring a Torch, Jeanette, Isabella is a 16th Century carol! Wikipedia describes the song as a song about 2 milk maidens who go to the stable to milk their cows and find the baby Jesus! Jason Germain's husky voice is perfect for this song. Probably my favorite new carol! 5 Golden Rings all I can say is this isn't what you will expect. Gift Carol speaks of the gift to all mankind, the doubting Thomas'. Glory to God is a great contemporary Christmas song with their rock edge. We Wish You a Merry Christmas is again another song that is done in a style that's unexpected! One you won't forget any time soon. How Many Kings (Re-Imagined) The guys redid this song in a more mellow and quiet version. It's more peaceful and gentle than the original version. This Christmas CD is NOT one of those "Oh the band just had to do what every other band does". It's totally unique and has songs that will stand on their own. Even the classic songs they sing are so originally done you don't feel like you could be listening to any Joe Schmoe. No, Downhere has a very unique sound and the entire compilation will be played year round! 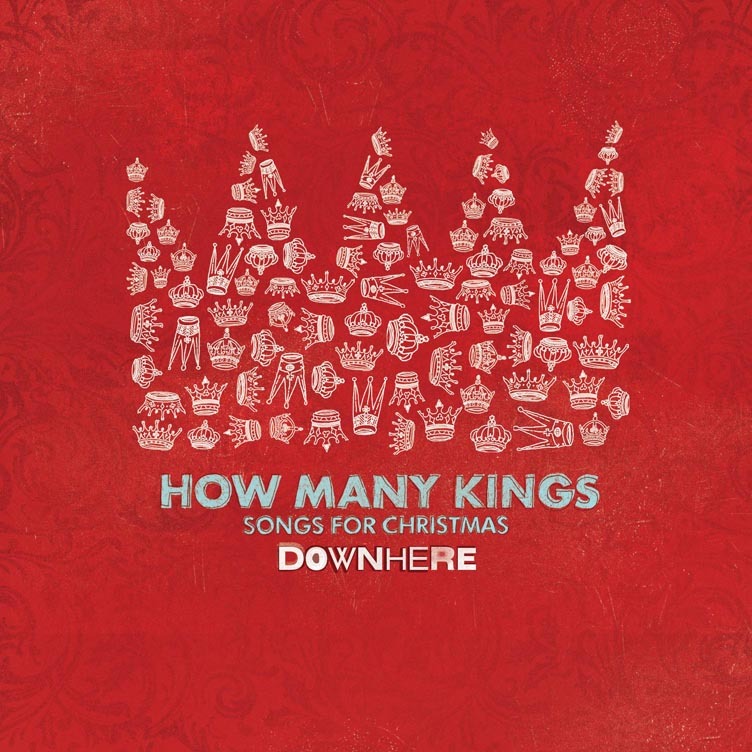 After listening to How Many Kings: Songs for Christmas, I have a new favorite band! These 4 guys are seamless. I feel like if one of them was missing they just wouldn't be the same. Speaking of the guys, if you don't know about them, let me give you an insight to them. With a ten-year career under their belt, constant connectivity from the critics and the radio charts, plus trophies from the Dove, Juno and Covenant Awards, Downhere is among todays most celebrated and innovative modern rock acts. Each album has shown an artistic evolution that constantly finds the Canadian foursome at the top of its game and has resulted in a strong fan base. Such is the case of the band’s first ever holiday collection, How Many Kings: Songs For Christmas (Centricity Music), which retains much of Downhere’s classic elements, but also stretches to previously uncharted realms capable of expanding the group’s audience more than ever before. Sure, there’s plenty of melodic vocal interplay from co-front men, guitarist Marc Martel and keyboardist Jason Germain, alongside the ultra-infectious rhythm section comprised of bassist Glenn Lavender and drummer Jeremy Thiessen, but there’s also a compelling experiment with organic instrumentation and ingenious holiday interpretations, alongside equally riveting originals. 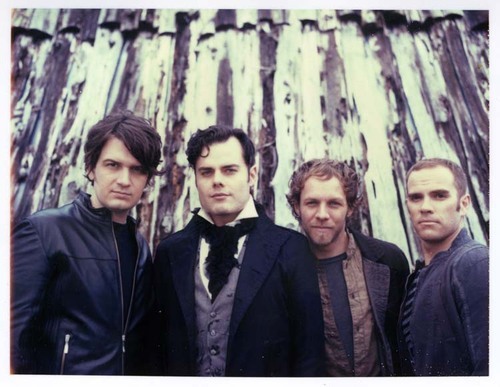 The genesis of Downhere’s Christmas affinity actually dates back several years earlier, when the band began a series of holiday concerts in Franklin, TN for their hometown fans. The shows combined regular hits with classic sounds of the season, which were incorporated into the debut Bethlehem Skyline Tour in 2008. If anything, fan response on those cozy outings, coupled with the unceasing success of “How Many Kings” at Christian radio, started the recording process for the group and led to Downhere’s first Christmas project done in their own unique style. Though the band carefully preserved the integrity of timeless tunes like “God Rest Ye Merry, Gentlemen,” “Bring a Torch,” “What Child Is This?,” “Silent Night,” among many others, each rendering has the group’s signature stamp and is firmly planted in the present. The group also hopes that in the midst of all the shopping insanity, brought on by today’s consumer society, people will truly utilize How Many Kings: Songs For Christmas as a soundtrack to slow down and plug into the true reason for the celebration. I would like to thank Janet & Penny at Centricity Music for providing me with my copy of this awesome CD! They've also provided the Giveaway copies of How Many Kings: Songs for Christmas. The opinions of this CD are completely mine and Centricity Music did not sponsor me for this review aside from sending me a copy. Not sure what comment #...I am number 227 I think...the name is MollyBuuklvr81...thanks for hosting! +1 of 3 Jason Gray's music sounds interesting! Would love to hear more about him! +2 of 3 Jason Gray's music sounds interesting! Would love to hear more about him! +3 of 3 Jason Gray's music sounds interesting! Would love to hear more about him! Mimi, that is an AWESOME song!!! I have added this CD to my Christmas wish list. Thank you for sharing it, I doubt I would have heard it otherwise. I just now came back from the Christian bookstore here, where I bought this very CD and one by Go Fish ("Christmas with a Capital C"). I haven't even had time to listen to it all yet, but I think "How Many Kings" is one of those rare gems. Everyone needs this CD in their collection! I don't see my comment, so it may not have gone through the first time. I was #228. E-mail is christineawoods@hotmail.com. I love Downhere!! I became a fan of DownHere on Facebook. I can't figure out how to comment on youtube, but I fell in love with this song the first time I heard it two years ago on the radio. I have the the first CD that it is on and now have something to put on my wish list for this Christmas. Thanks for doing the review and giveaway - looks great! I hope we'll get to meet you on the road on our Christmas tour. God bless! I'm comment #232 username Yelliepooh! I follow Downhere on Facebook! I think I'm commenter #233 or #234. My username on YouTube is "blessedwife". I love this song. Thanks for this wonderful giveaway! I follow Woven by Words. Entry #2. I follow Woven by Words. Entry #3. Yes, Liz, certainly looks like a book and a plastic tub? Are these guys spectacular singing & playing live or WHAT?! I think they were actually playing in the studio in WA. From what I remember, 105.3 was "the" Christian radio station there! Thanks..I watched the video on this site and lrft comment... it said was 1-6 of 200 ? I said awesome video...great for the season. I also put a post on the wall on their fan page. I like to know more about artist Jason Gray and Daniel K. I sign-up for centricity newsletter. I am already a fan of your blog. p.s. dont remember my password on goggle blog account. I sign-up for centricity newsletter. I am already a fan of your blog. #2 I am already a fan of your blog. #3 I am already a fan of your blog. #2 I sign-up for centricity newsletter. #3 I sign-up for centricity newsletter. #1 I like to know more about artist Jason Gray and Daniel K.
#2 I like to know more about artist Jason Gray and Daniel K.
#3 I like to know more about artist Jason Gray and Daniel K.
Visited Centricity Music - Circleslide sounds interesting! Signed up for Centricity Music info. I am comment #240. Wow is all I can say, this song has really touched my heart. Thanks for sharing. I signed up for Centricity Music newsletter. I am comment #242 on the youtube link. Love this song and would love the cd! Hi, I am comment number 244! These guys sing very well. This is the first I've heard of them! The Honest Scrap Award Again!!! I'm a "Blogger of the Week"
The Fall Leaves = Time To Play!